Urbino was built during Roman time and it was called Urbinum Mataurense, which means the little city on the river Mataurense and it was a strategic stronghold in the Gothic wars. In 1213 the House of Montefeltro obtained the title of podestà and later controlled the city in 1234 with the help of the independent commune of Rimini. Under the rule of Federico da Montefeltro, the city blossomed and was transformed into a comfortable, efficient and beautiful city. In 1626 the Duchy was annexed to the Papal State, after the assassination of the last heir of the "Della Rovere" dinasty which ruled the city at that time. Between 1797 and 1800 the city was occupied by French troops and its territory suffered from the acquisitions of important works of art by the French. This event deepened the impoverishment of artistic heritage, which began after the devolution of the Duchy to the Papal State. On 8 September 1860 the Piedmontese troops entered Urbino from Port Saint Lucia and defeated the last papal armies. Between 4 and 5 November, the city was annexed together with the Marche region to the newly formed Kingdom of Sardinia. 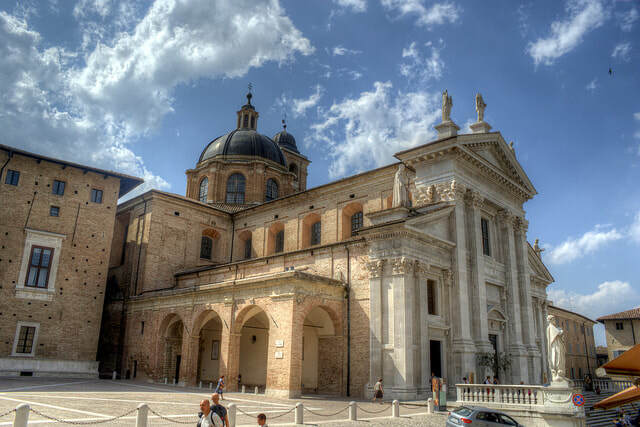 During WWII Urbino was liberated from the Nazi occupation on 28 August 1944, thanks to the allies troops and with the help of the partisans of the area. 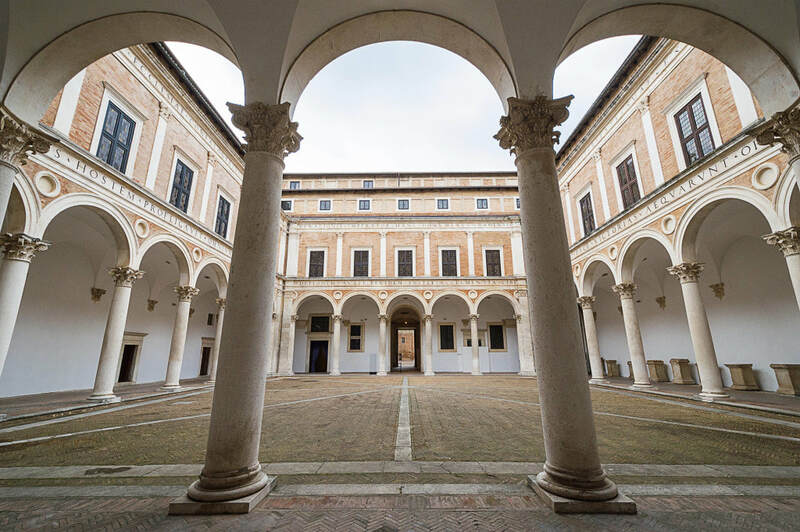 What to see in Urbino. Palazzo Ducale: The palace was built in the second half of the 15th century on behalf of Federico da Montefeltro as the official family residence. Nowadays it houses the "Galleria Nazionale delle Marche", one of the most important collections of Renaissance paintings. Fortezza Albornoz: The fortress was built in a strategic position by the eponymous Papal legate in the 14th century. The fortress was used mainly for military reasons. Now it is a public park. Duomo: was firstly built in 1021 and it was later restaured by Francesco di Giorgio Martini on behalf of Federico II. The Duomo was destroyed during an earthquake in 1789 and then was built again with a neoclassic style by the architect Giuseppe Valadier. Oratorio di San Giuseppe: it was firstly built to host the San Giuseppe confraternity. Now it hosts many important religious paintings. Orto botanico "Pierina Scaramella": a botanical garden. What to eat in Urbino.